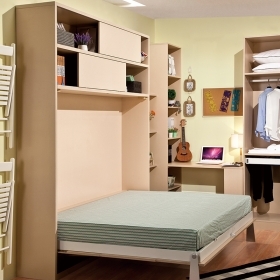 This horizontal Murphy bed features a simple look, so you can choose some cabinet, wardrobe, desk to match it. 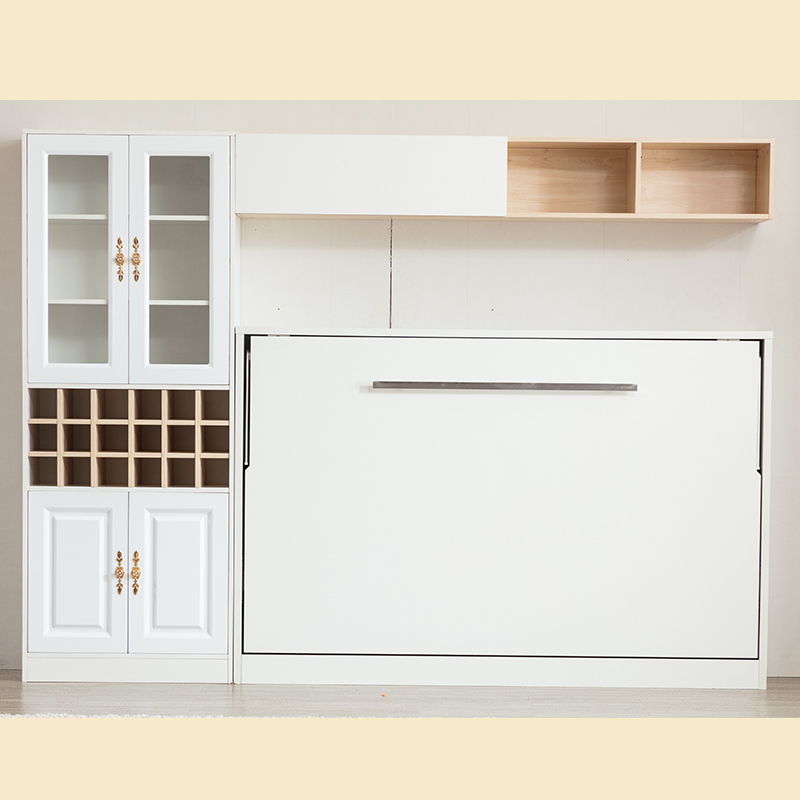 Same as below picture, we have matched the side cabinet, top cabinet, sofa...It does not occupy space, and you can get a nice design for your room. 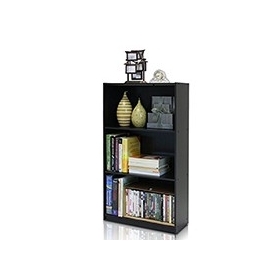 See, it if you match a bookcase, then you can have a bedroom can easily change into a study room. 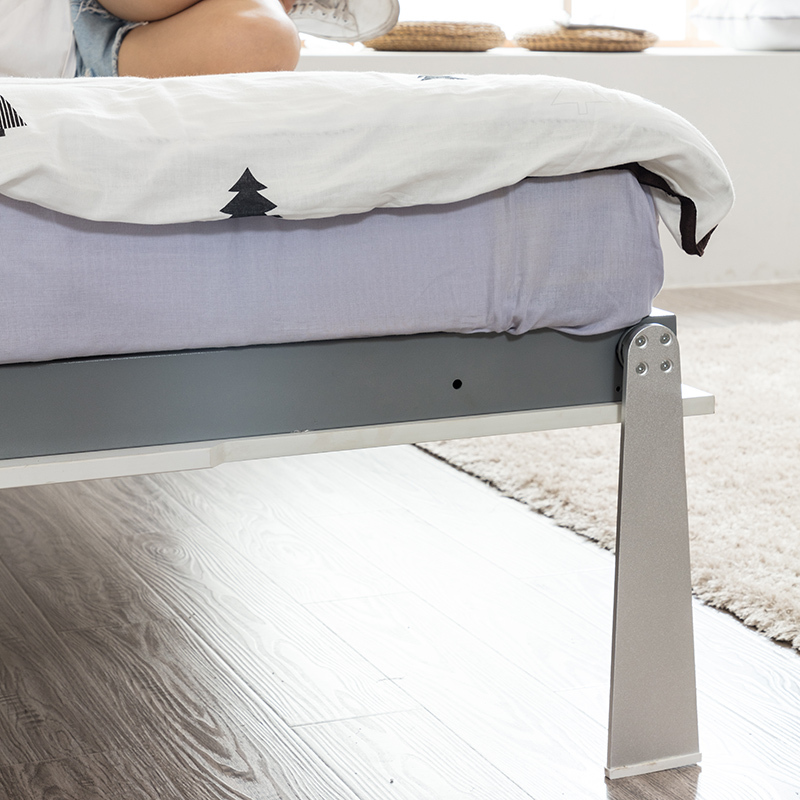 If it just a guest room, so you don't need to do clear every week. 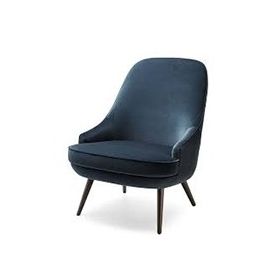 There are 3 sizes for choose, Single, Twin, queen. 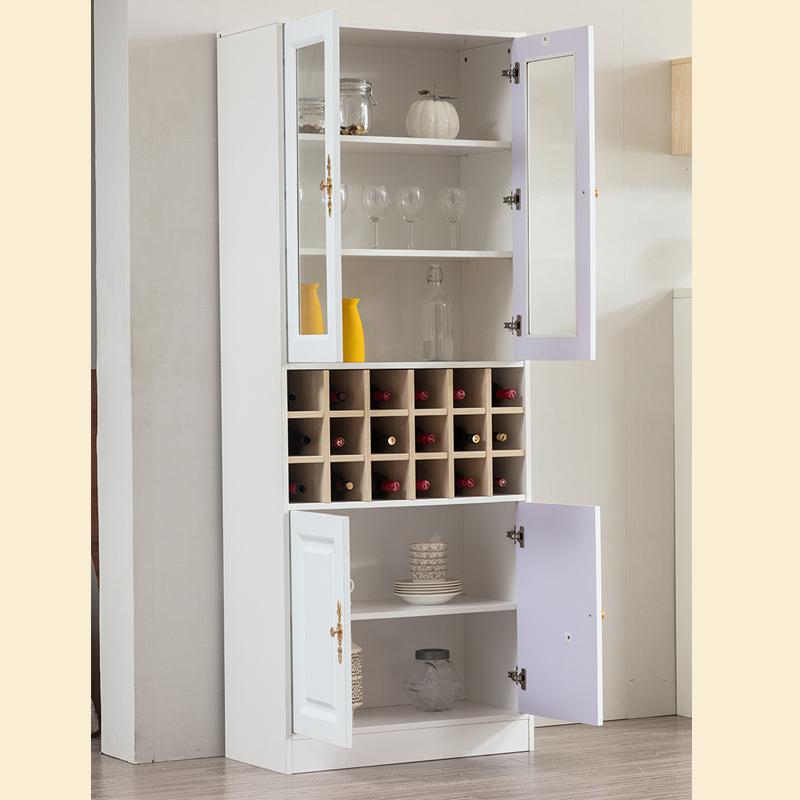 You can choose the one meet your room space, or customize a size for your room. 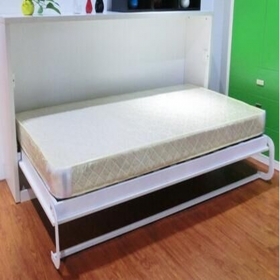 For the size, the largest is queen size, because the Murphy bed mechanism cannot bear a larger size and the depth of mattress is 150 mm, if more than 150mm, the wall bed door panel will be damaged easily. So please contact us for the details before order. 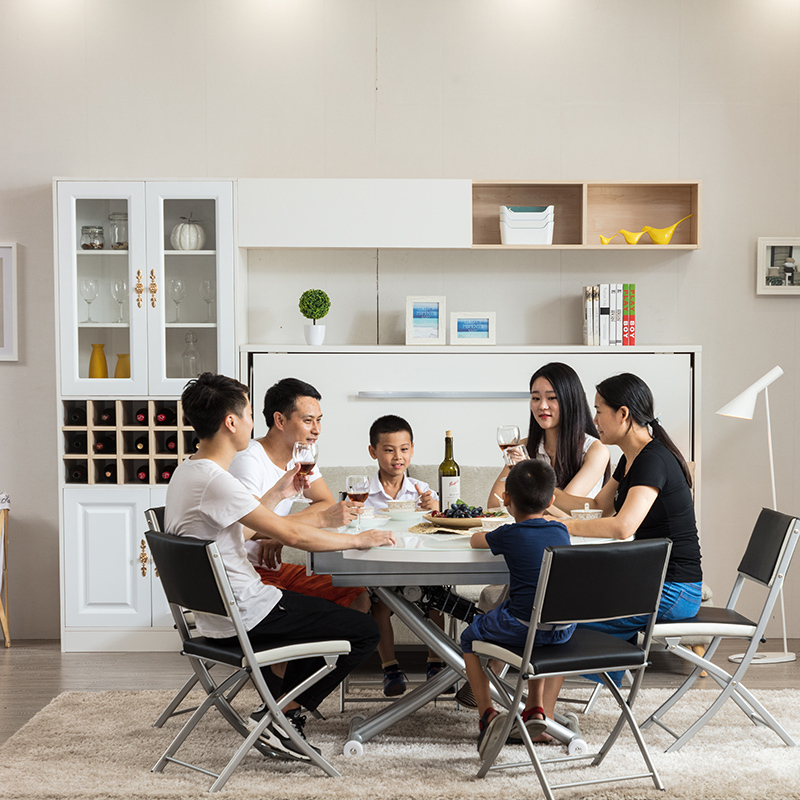 The Murphy bed is made of 30mm Plywood for the side panel, 18mm Particleboard for the door panel, 9mm Particleboard for the back panel, and used the spring mechanism, that's more durable and simple. 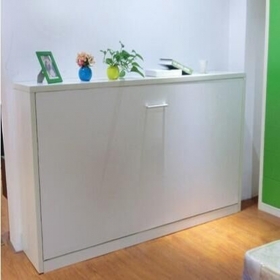 We also can just offer the mechanism for you, so if you think you can DIY a Murphy bed for your room, you can just buy the mechanism. 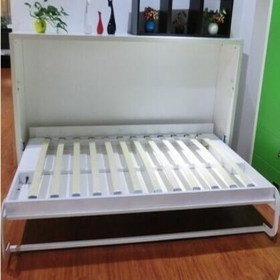 For the wall bed color, please refer to below color card, and contact us for a real sample color before order.